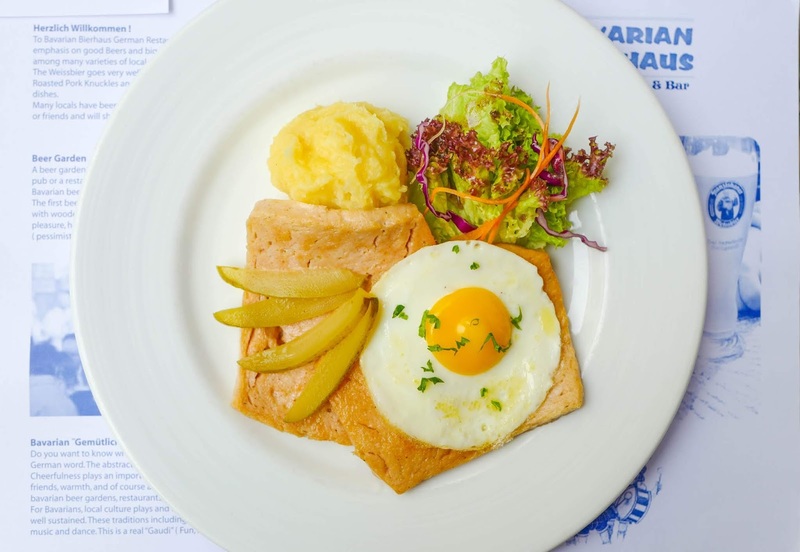 Germany's southern state of Bavaria is renowned for its geographic and gastronomic gems, from heritage-rich cities like Nuremberg to beautiful landmarks like Neuschwanstein Castle, from its hearty meat-based cooking to more than 4,000 brands of beer. 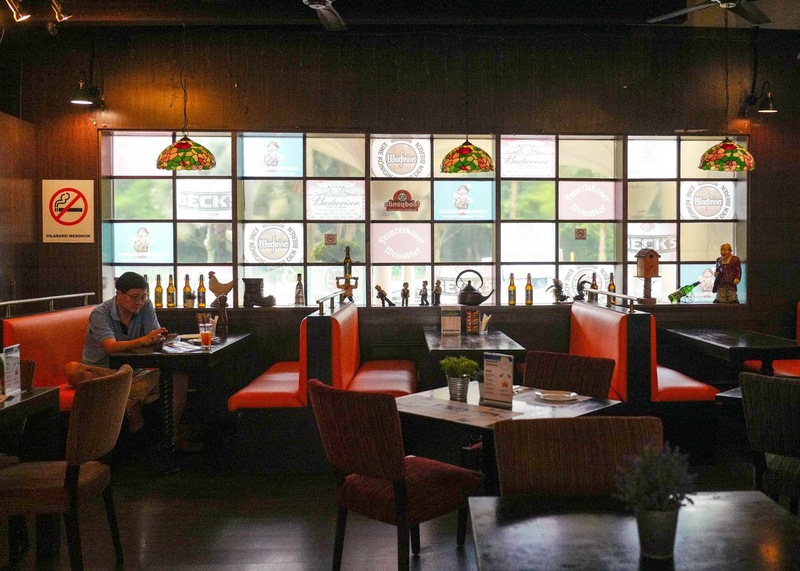 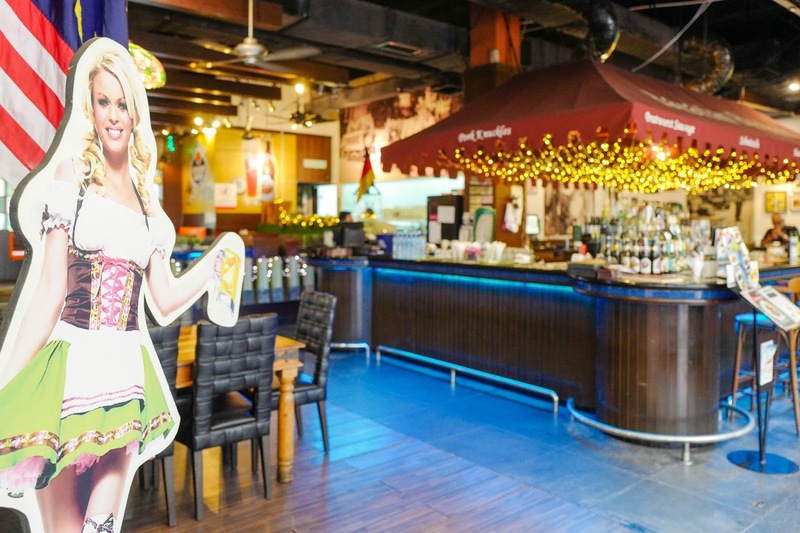 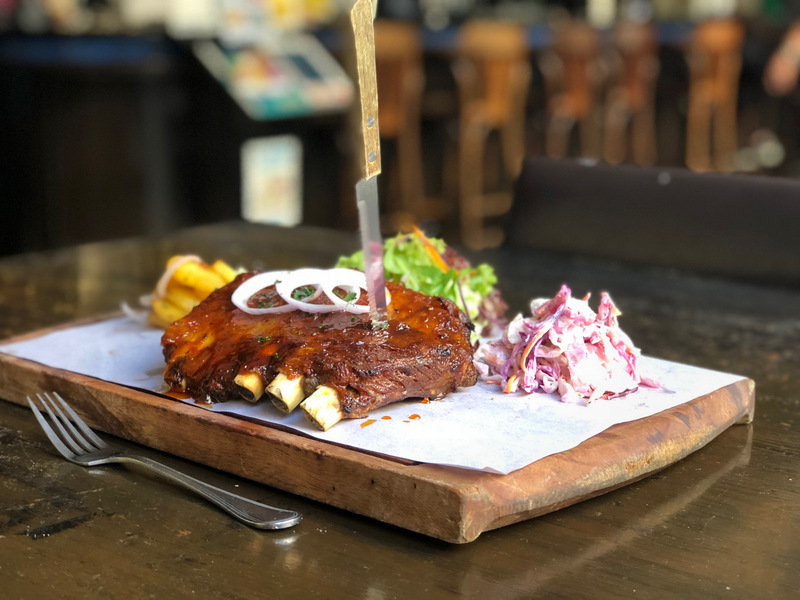 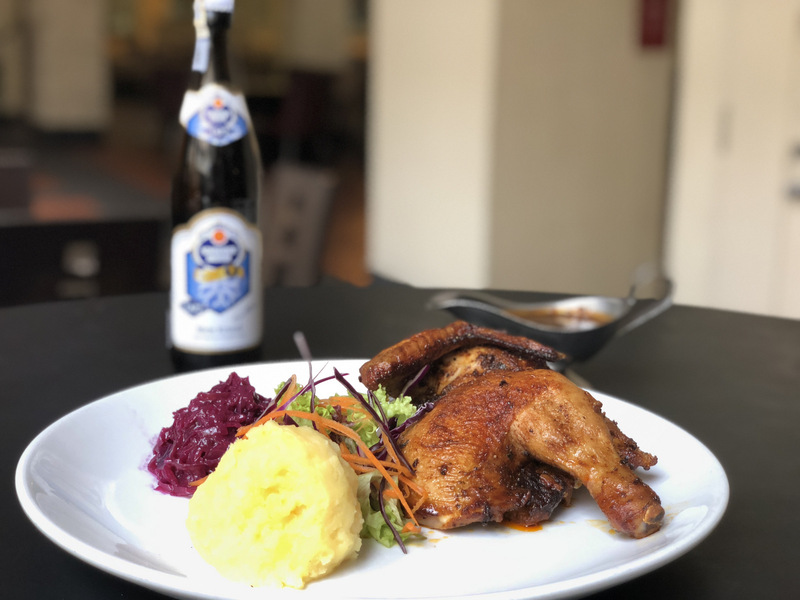 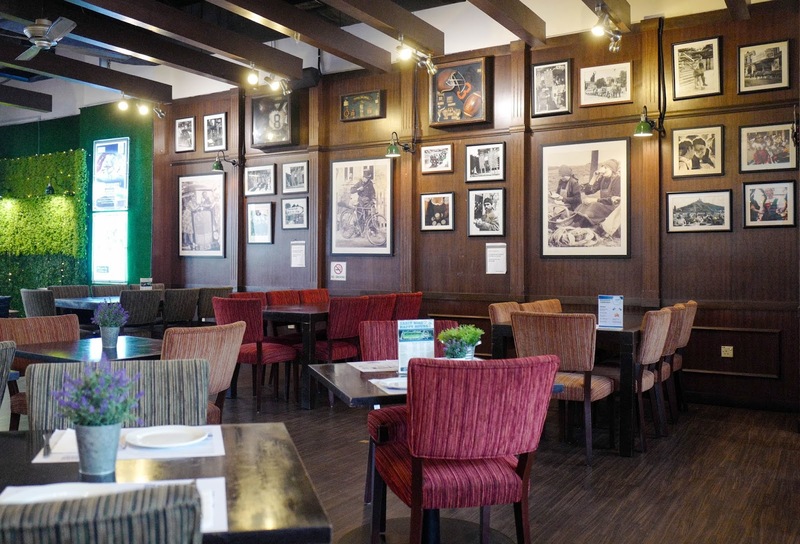 And while Bavaria might be nearly 10,000 kilometres from Kuala Lumpur, a sampling of its delicious delights is available right at our doorstep, at The Curve's Bavarian Bierhaus, the Klang Valley's premier destination for Bavarian cuisine. 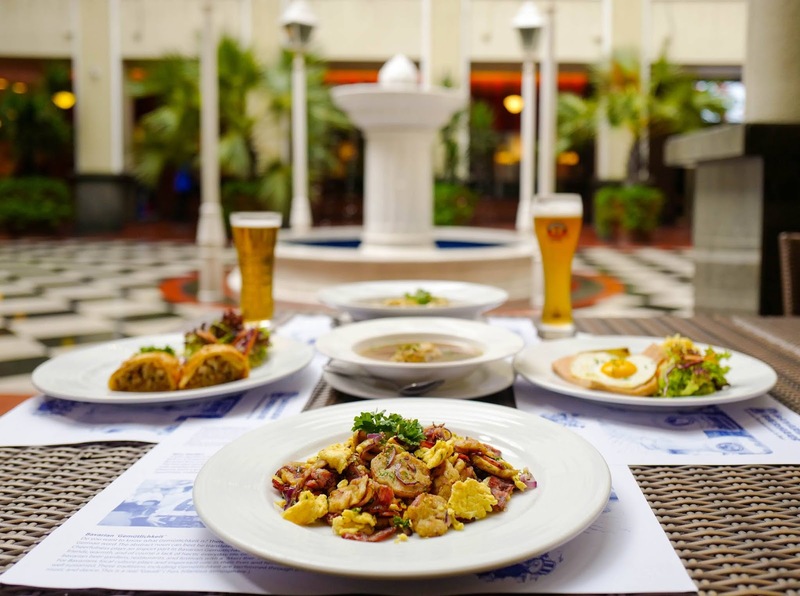 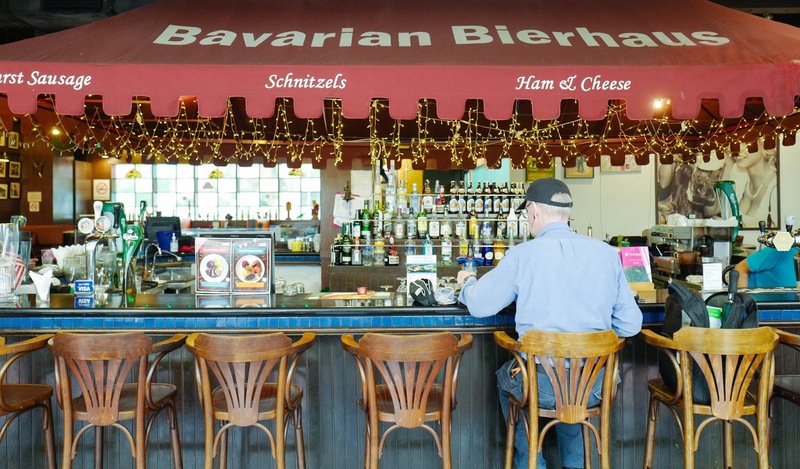 Step into Bavarian Bierhaus and you'll find an authentic slice of the region it represents; within, the walls bedecked with scenes of German life might be reminiscent of the beer halls of Munich, while the courtyard fountain outside evokes the alfresco charm of the city's beer gardens. 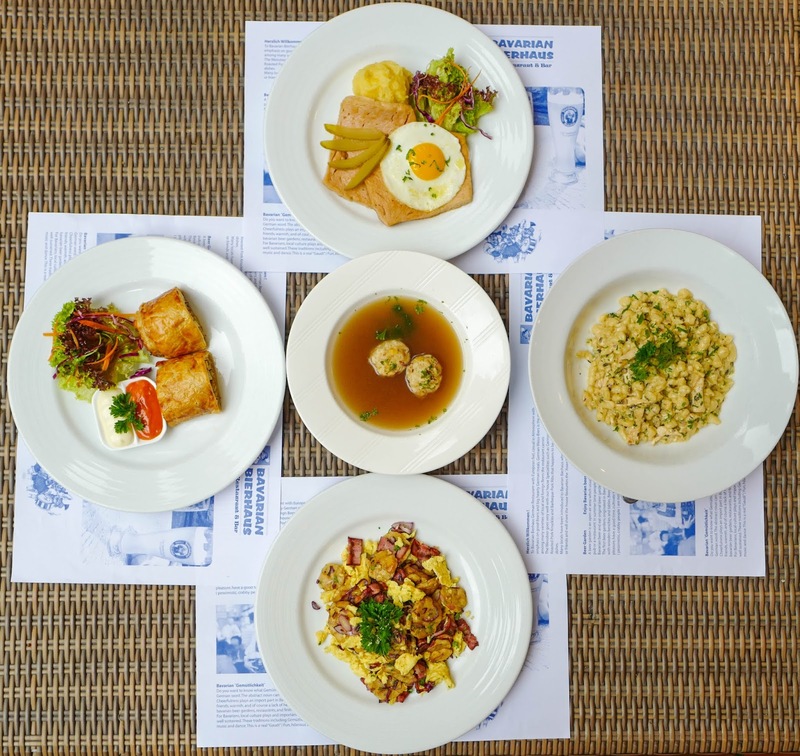 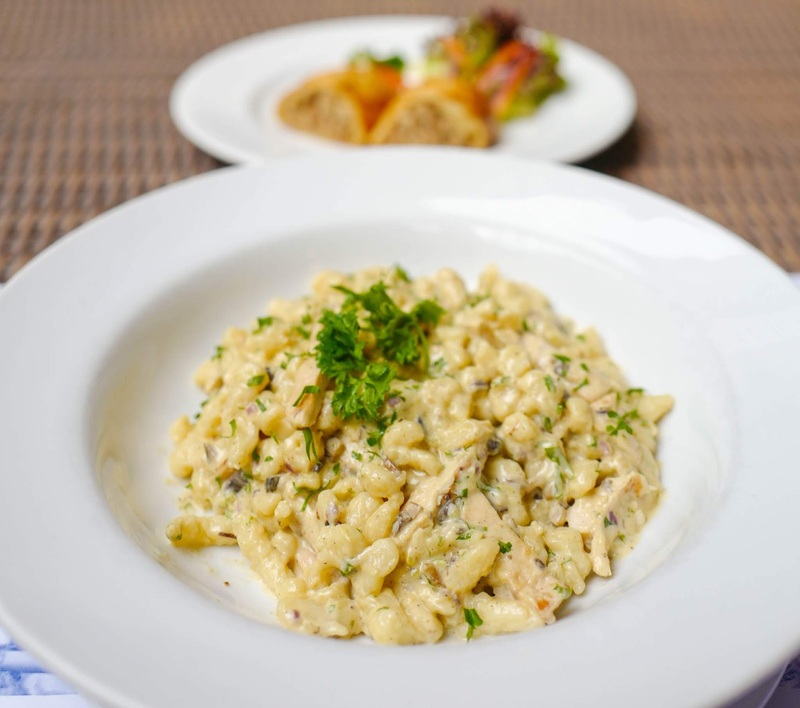 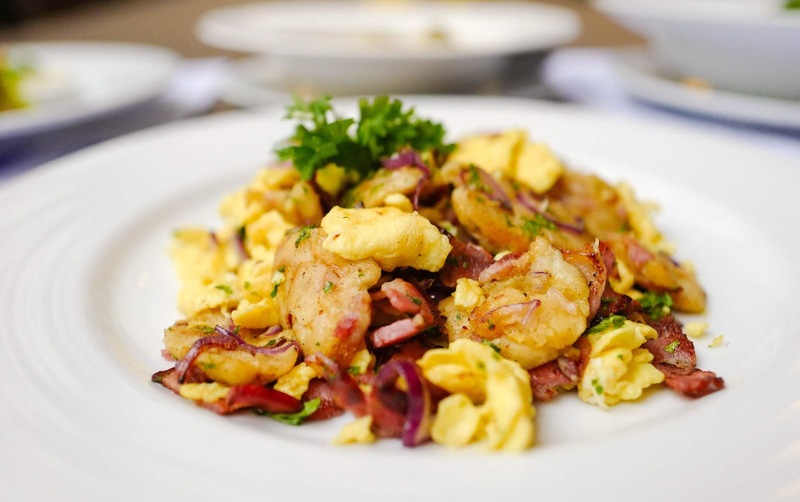 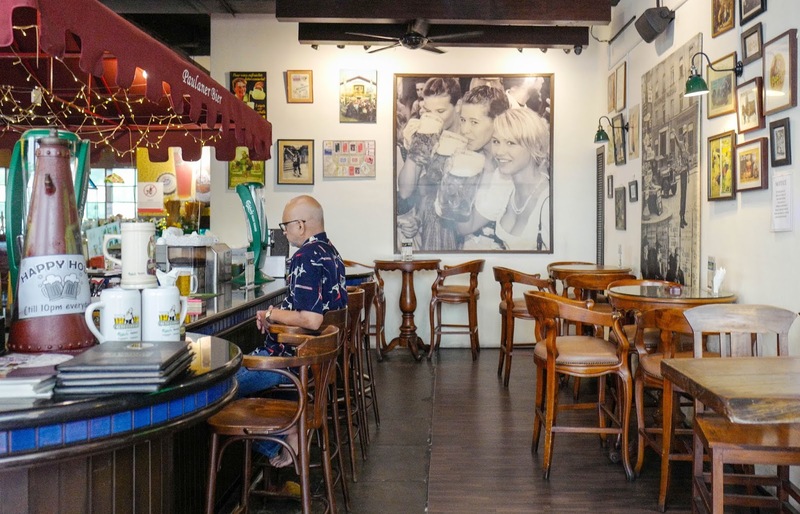 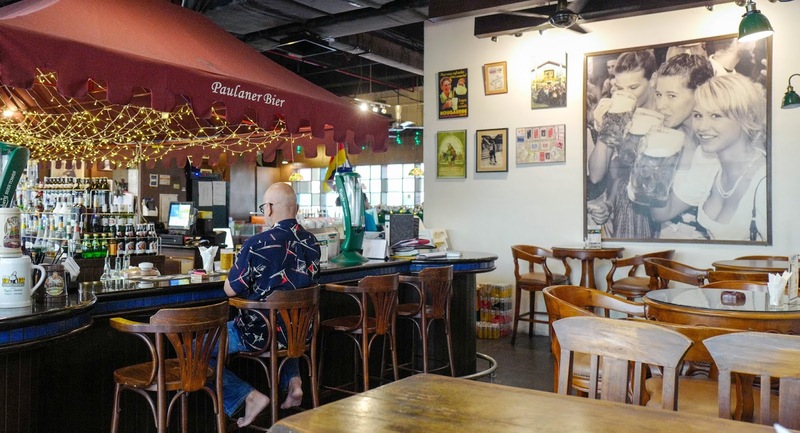 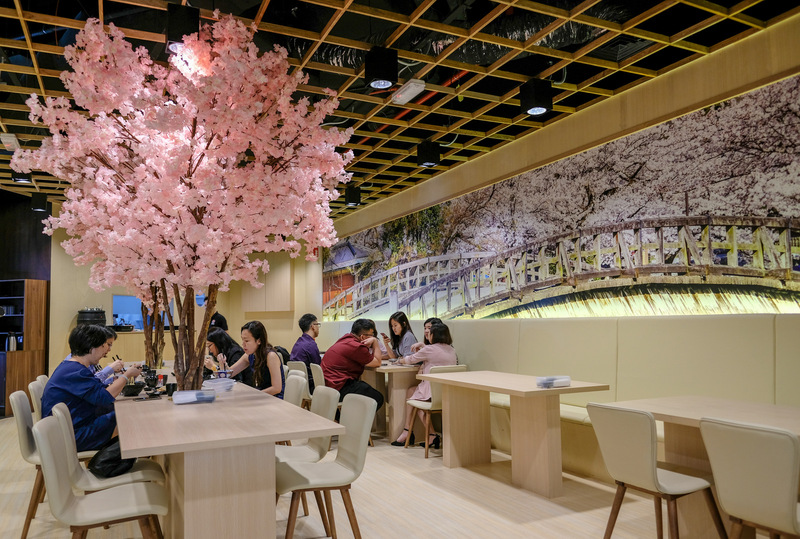 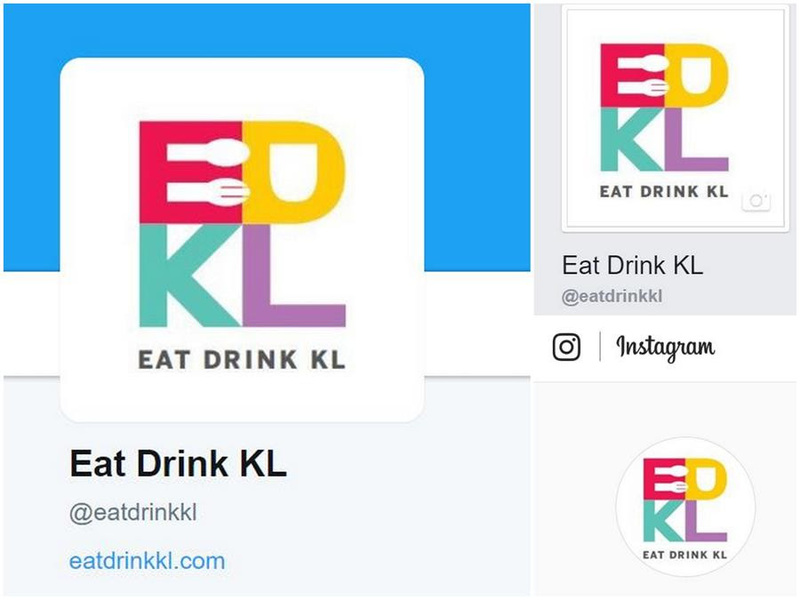 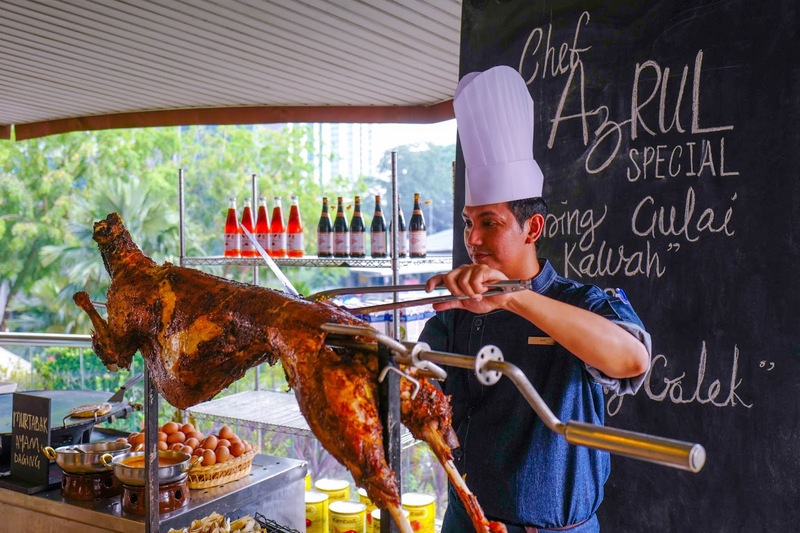 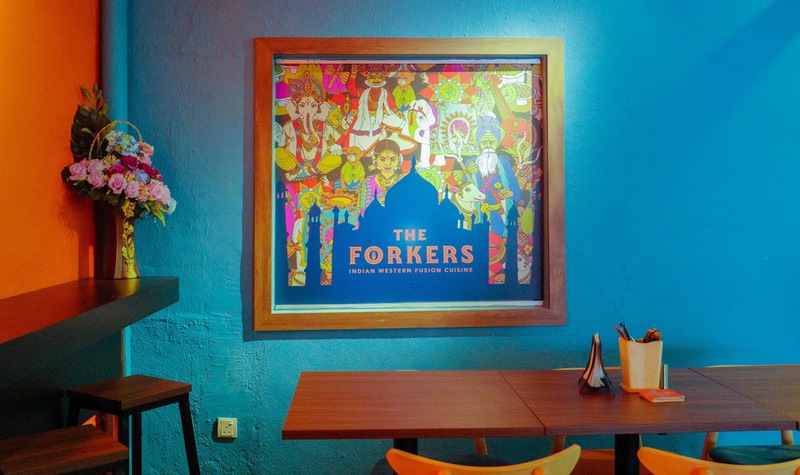 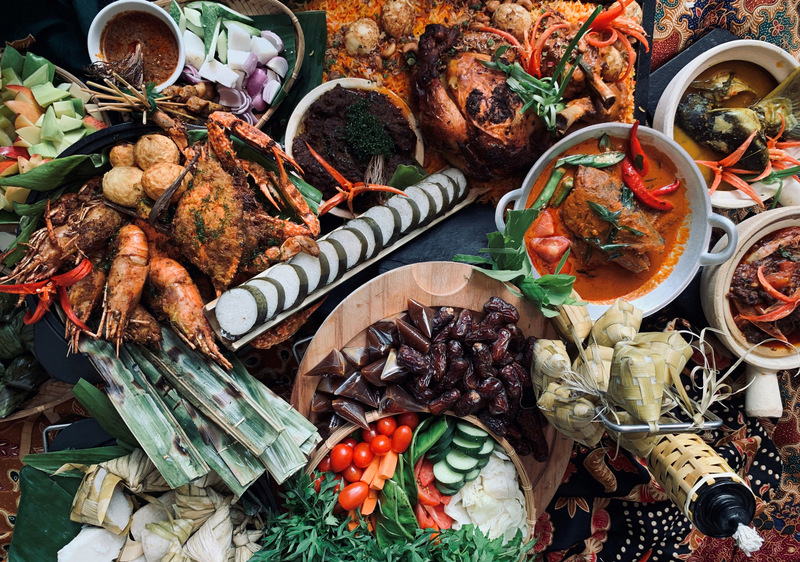 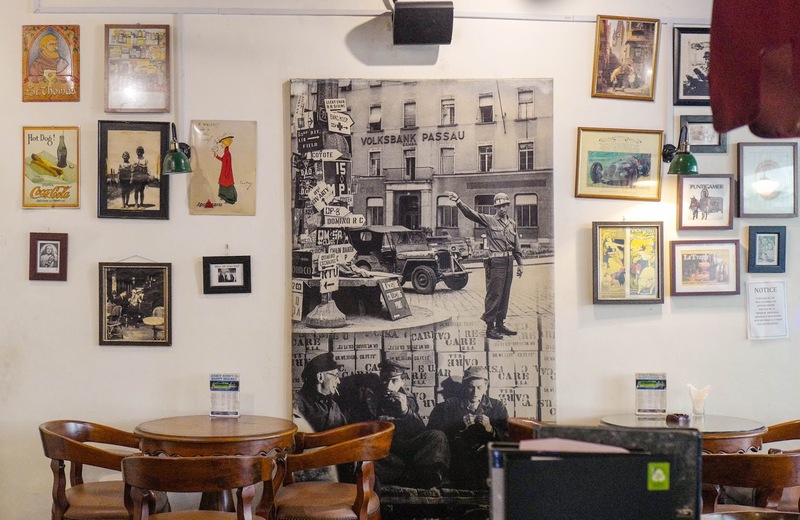 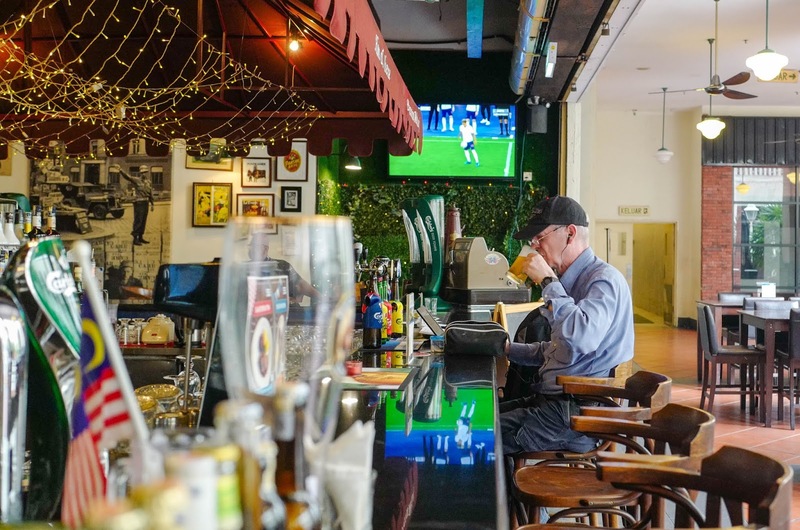 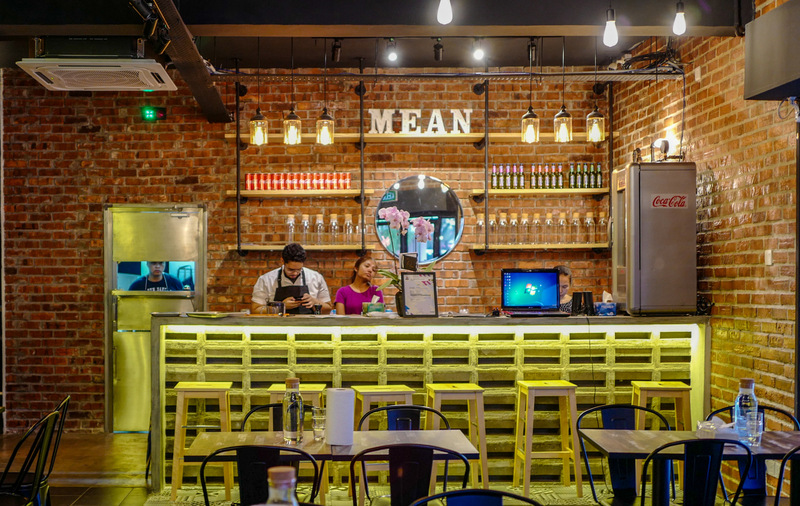 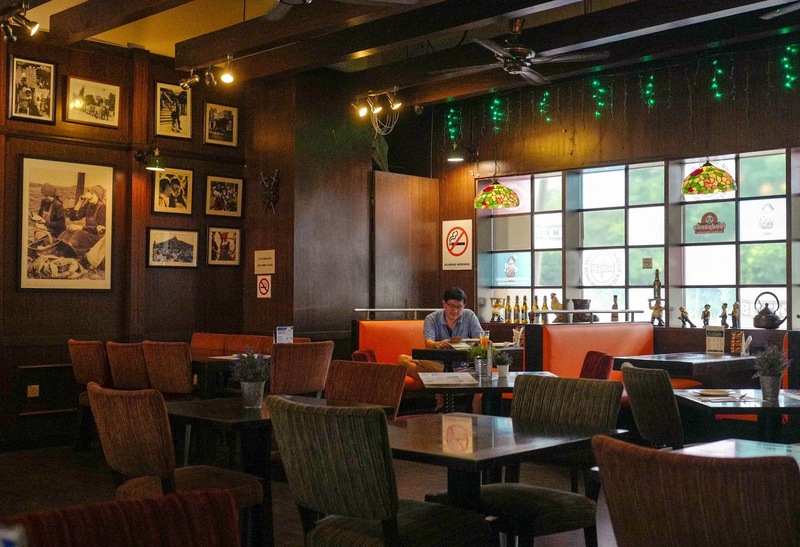 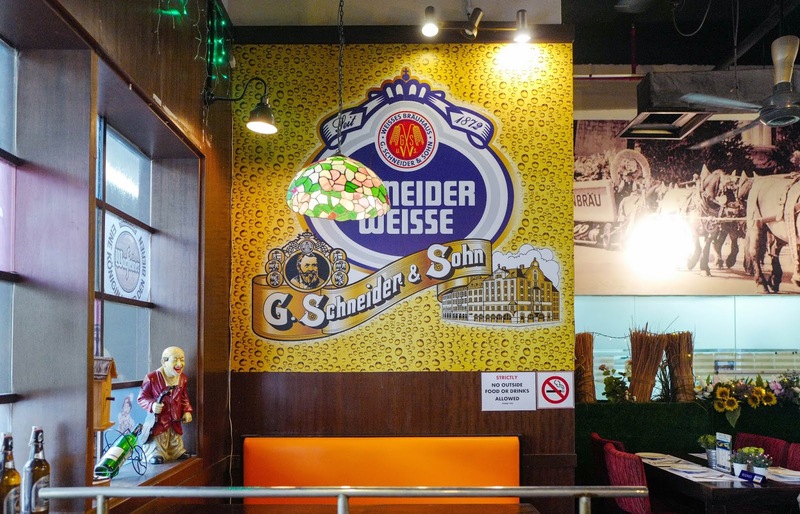 The restaurant's culinary bona fides extend even deeper; it's owned by a Bavarian native who resides in Malaysia, with a menu crafted by a veteran chef from Austria, which borders Bavaria. 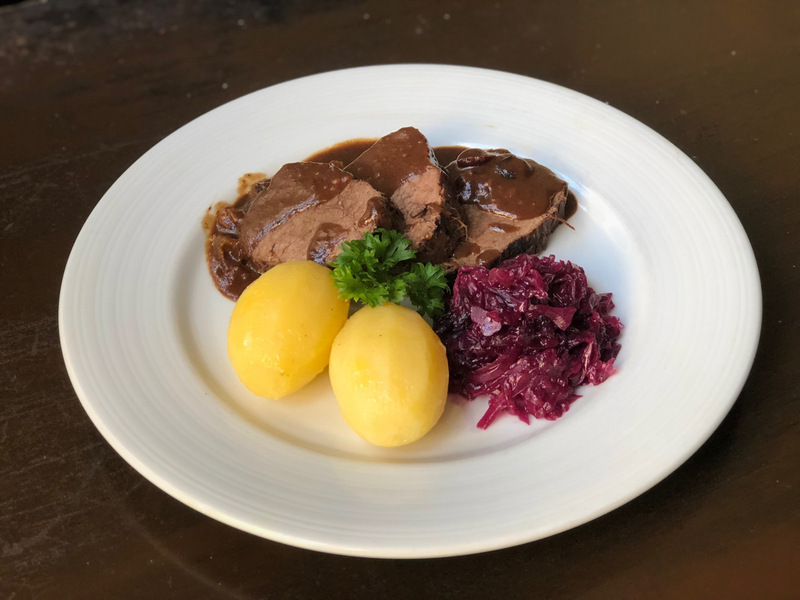 The recipes are thus specific to the cherished, time-honoured classics that cut a swath from Bayreuth through Salzburg to Prague. 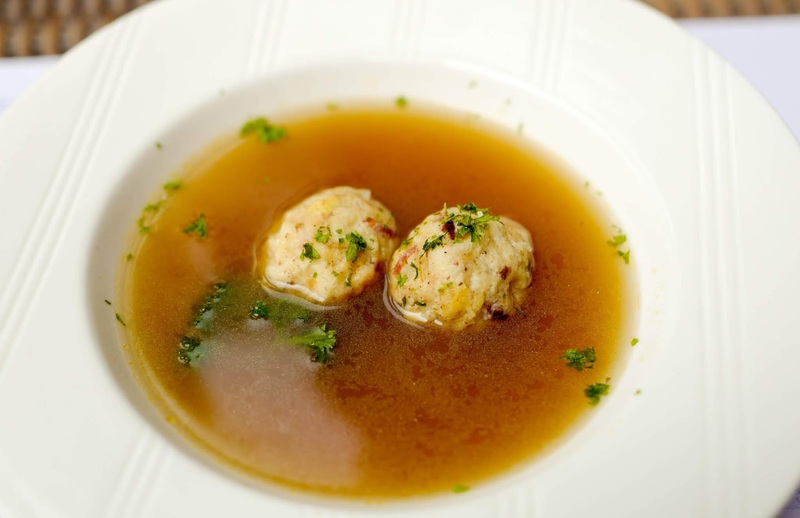 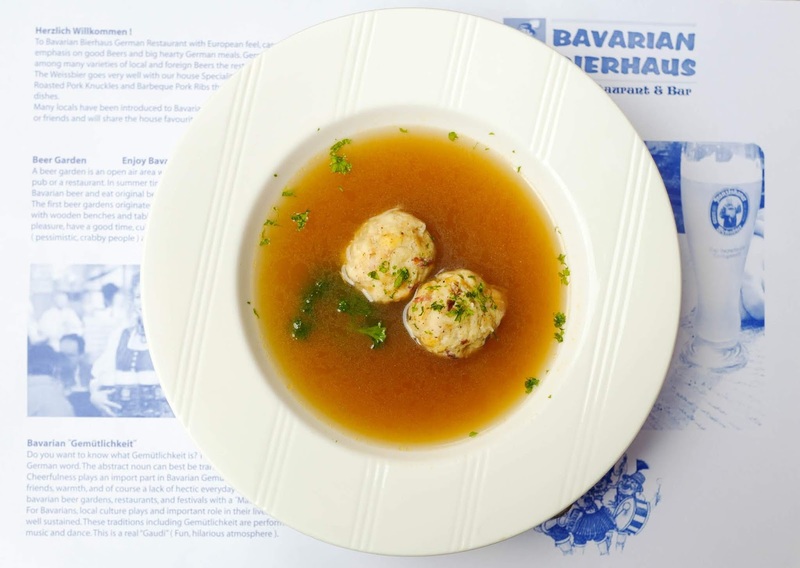 These specialities comprise soulfully homey, kitchen-made temptations that have nourished and comforted generations of Germans for centuries; begin with the Bavarian Dumpling Soup, the quintessential bowl of bread dumplings flavoured with bacon and herbs in a clear, light beef consomme - perfect for fans of soup, this is the sort of soothing concoction that Grandma might recommend on a wintry German afternoon or rainy Malaysian night (RM18.50). 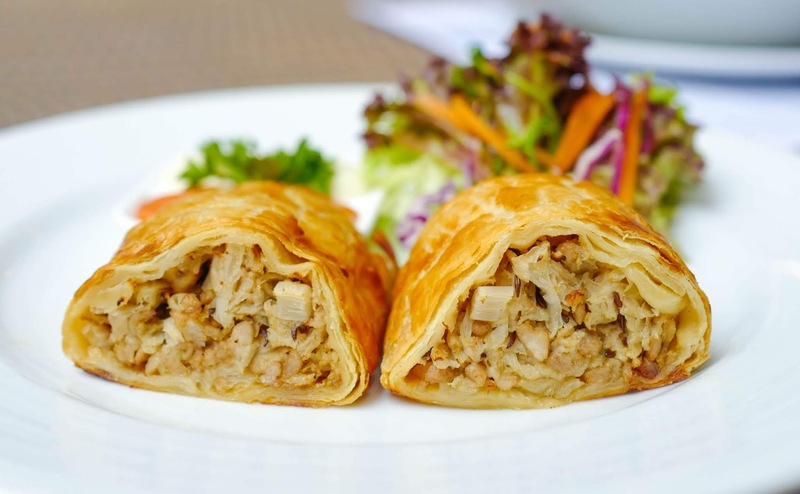 For a further taste of tradition, the Cabbage Strudel is another solid starter, bringing together a warm, savoury medley of chopped cabbage and minced pork prepared with garlic, herbs and white wine, rounded out with garlic mayonnaise in fluffy, flaky pastry - wonderfully tasty for whetting the appetite (RM18.50). 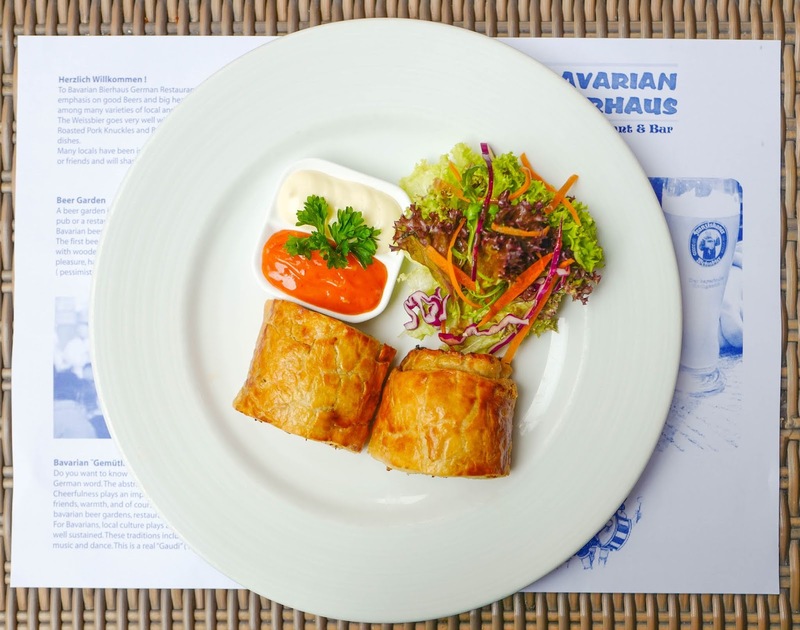 It's impossible to imagine Bavarian cuisine without sausages - naturally, Bavarian Bierhaus has an extensive repertoire of bratwurst, including varieties like weisswurst, nurnberger and thueringer. 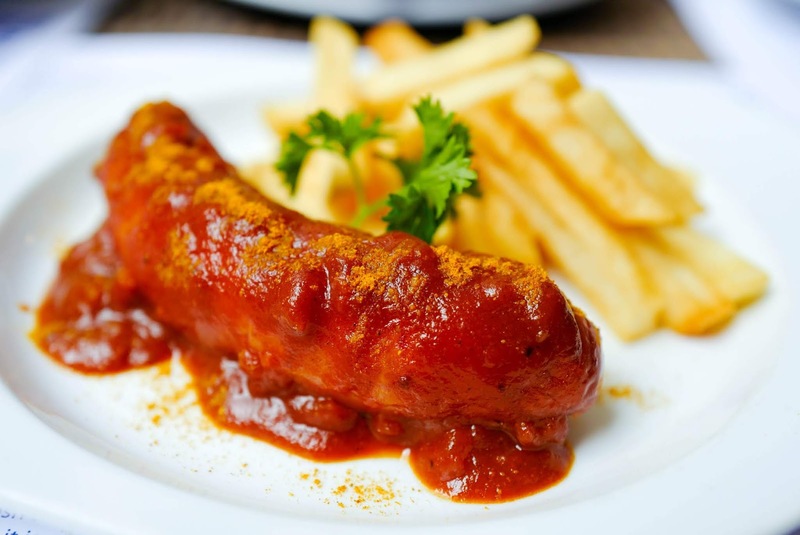 Since we felt like something lighter for our visit, we ordered one of the latest entries in the restaurant's selection - the street-food staple of currywurst, featuring a chunky, juicy farmer's sausage smothered in Bavarian Bierhaus' own spicy curry ketchup, completed with fries (RM18). 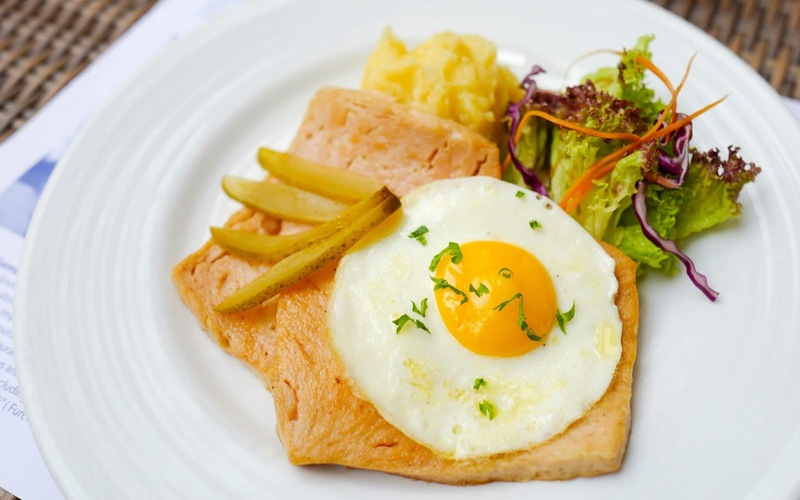 Another protein-fuelled pleasure is the leberkase, pan-fried meatloaf crowned with a sunny-side-up egg, partnered with potatoes and the tang of German mustard and sliced pickles - fuss-free in its simplicity, fulfilling in a satisfyingly well-executed way (RM35). 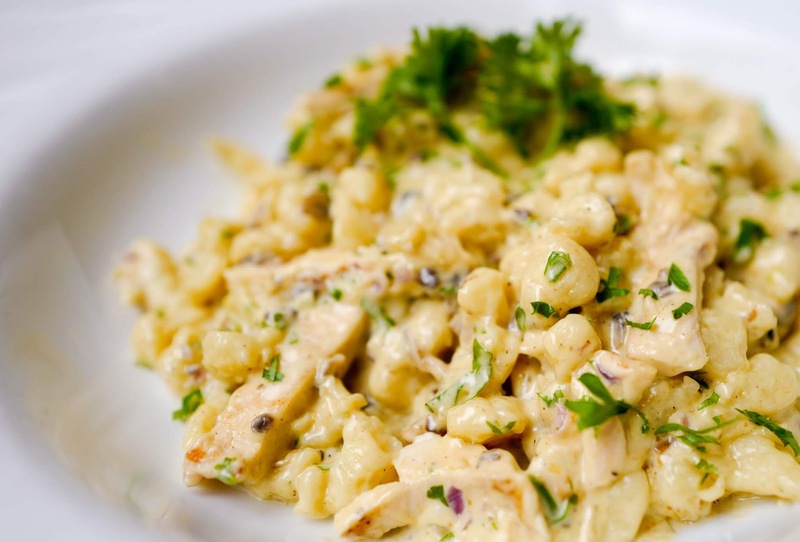 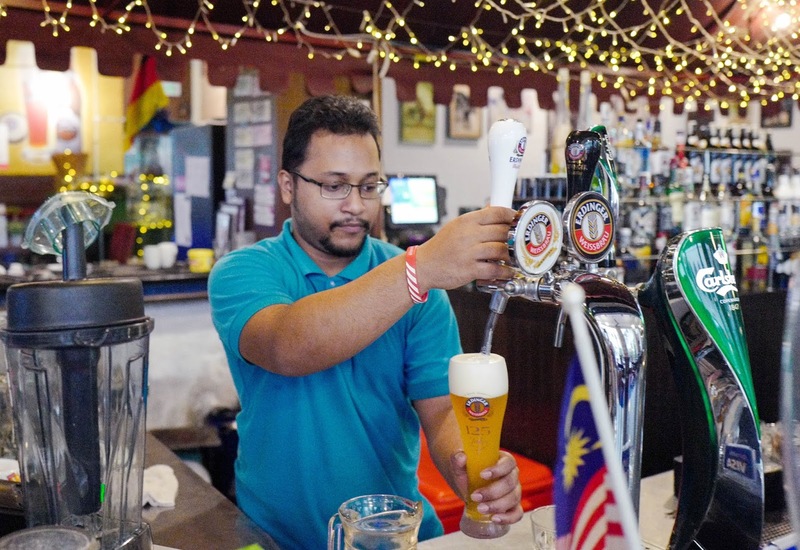 Other distinctive offerings not commonly seen in the Klang Valley include the Bavarian Bierhaus' Gerostete Knodel, an addictive fry-up of chopped roasted bread dumplings with scrambled eggs, bacon and onions that would work well as a brunch dish (RM35), and the Spaetzle Hunter Style, Bavaria's beloved egg noodles blanketed here in a cheesy sauce, with the firm bite of the noodles made extra-textured with bacon, onions, mushrooms and leek (RM35). 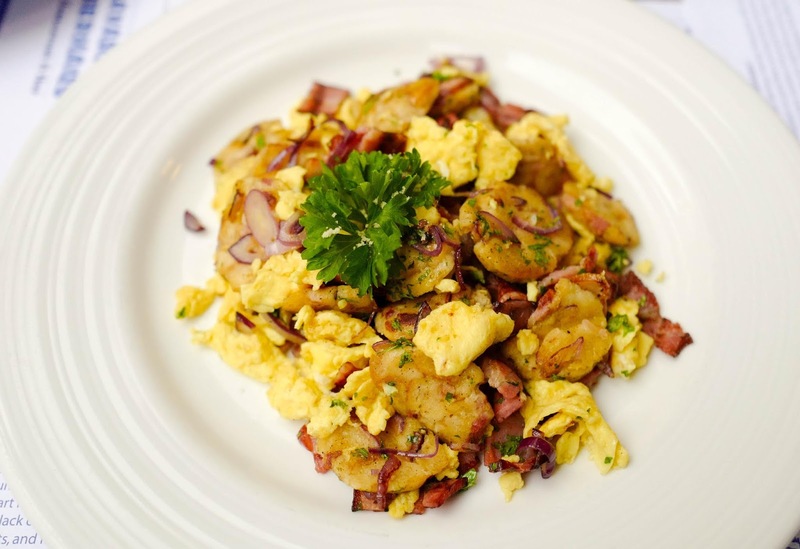 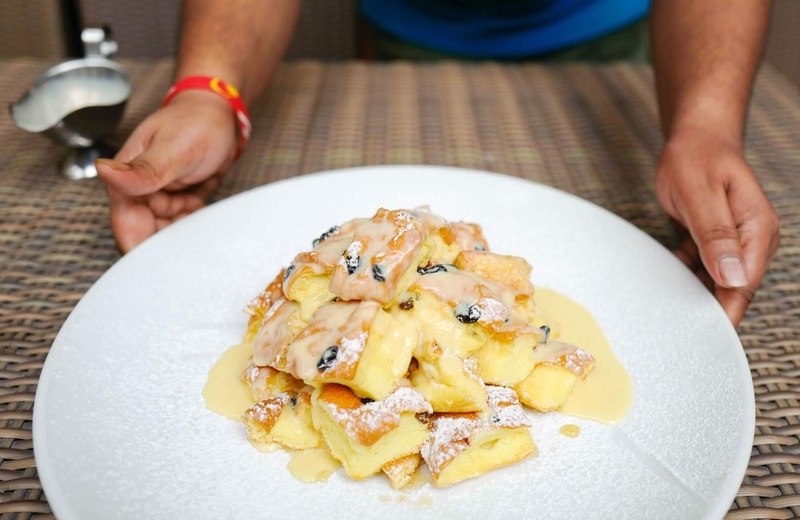 To wrap up your dining adventure here, the Kaiserschmarren is a treat that's truly fit for an emperor - it is, after all, named for the nineteenth-century Austrian Kaiser Franz Joseph 1. 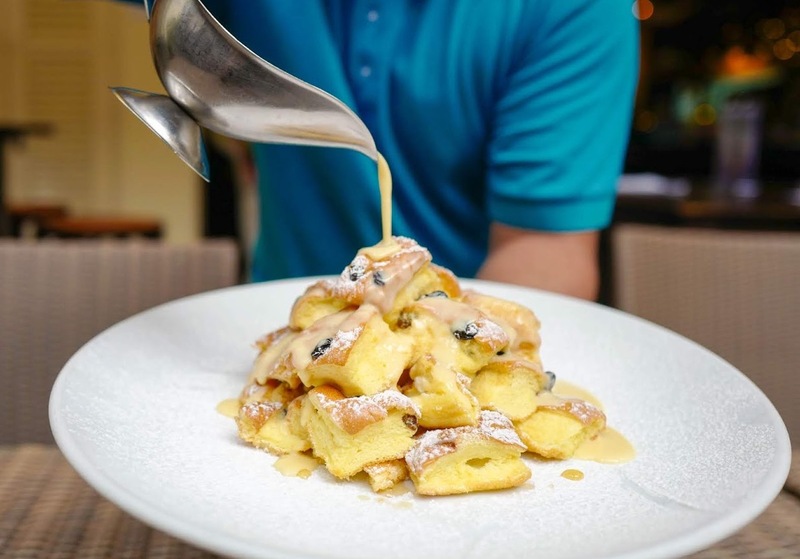 The shredded pancakes come in a princely portion that's meant for sharing, with a luscious, souffle-like airiness buoyed by rum-flavoured vanilla sauce and snow icing (RM35). 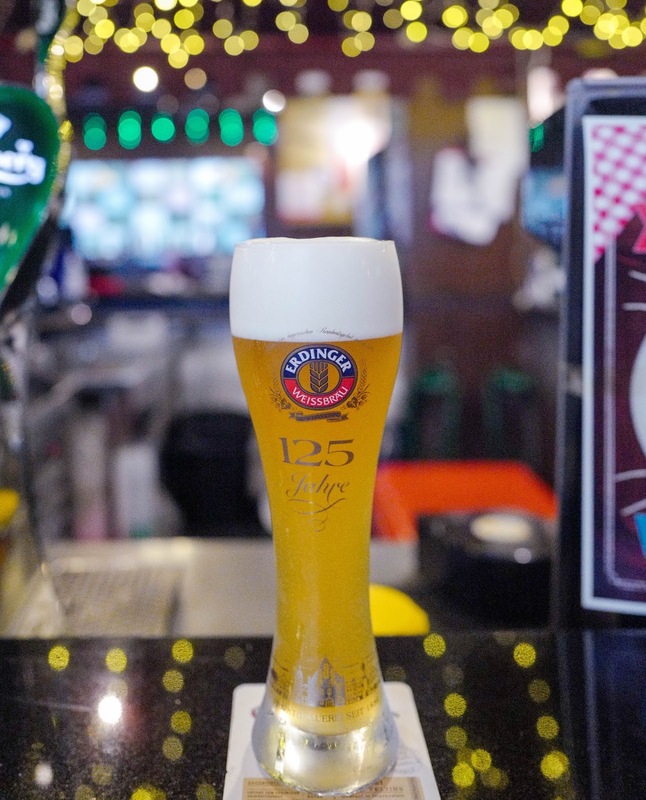 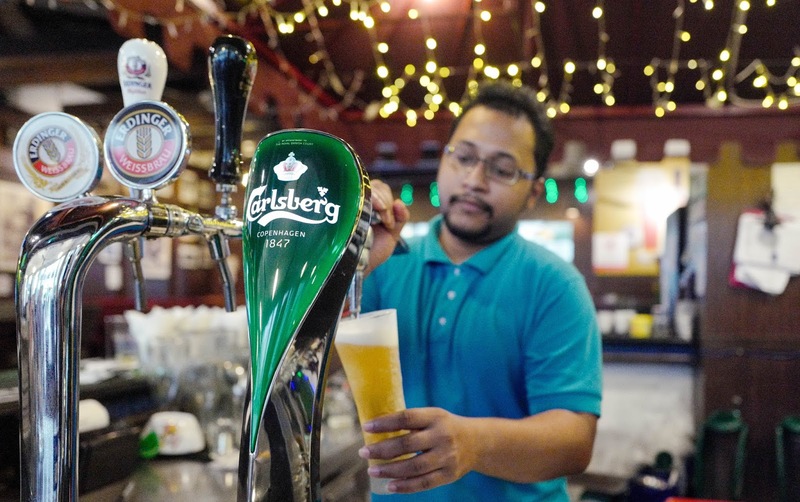 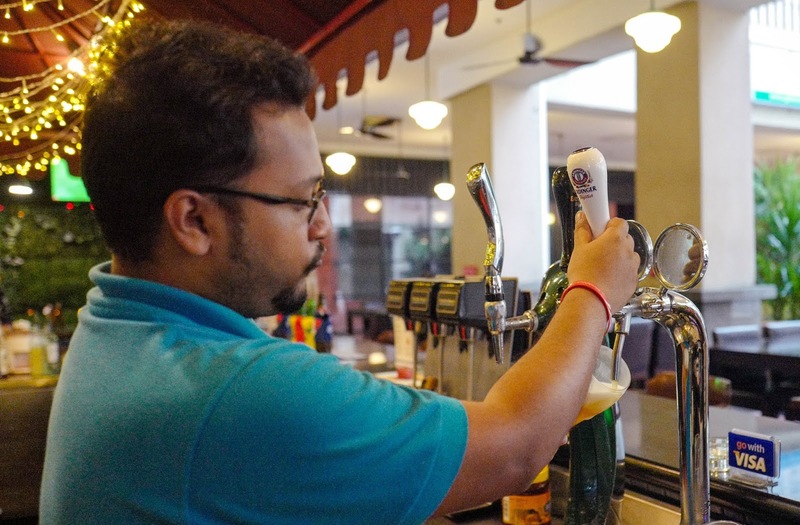 Beer is, of course, the cornerstone of the beverage selection, form bottled possibilities like the Konig Ludwig Dunkel (RM33), Franziskaner Weissbier (RM33) and Schneider Weisse (RM33) and on-tap choices like the Erdinger Weissbier (glass RM24, pint RM33.50) representing the best of Bavaria's breweries. 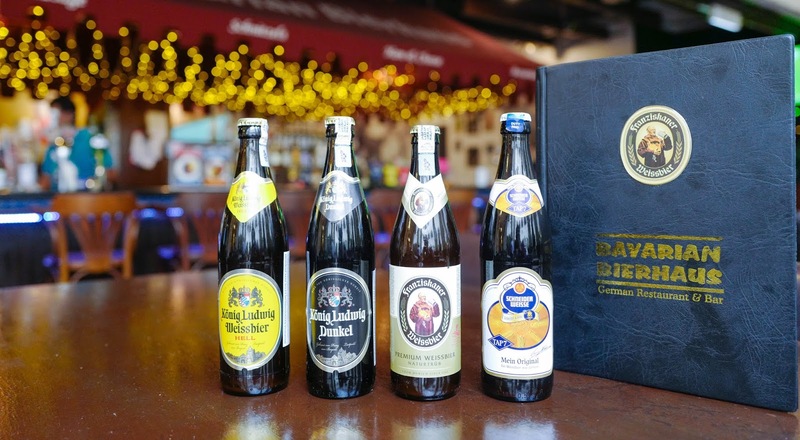 Prost, indeed! 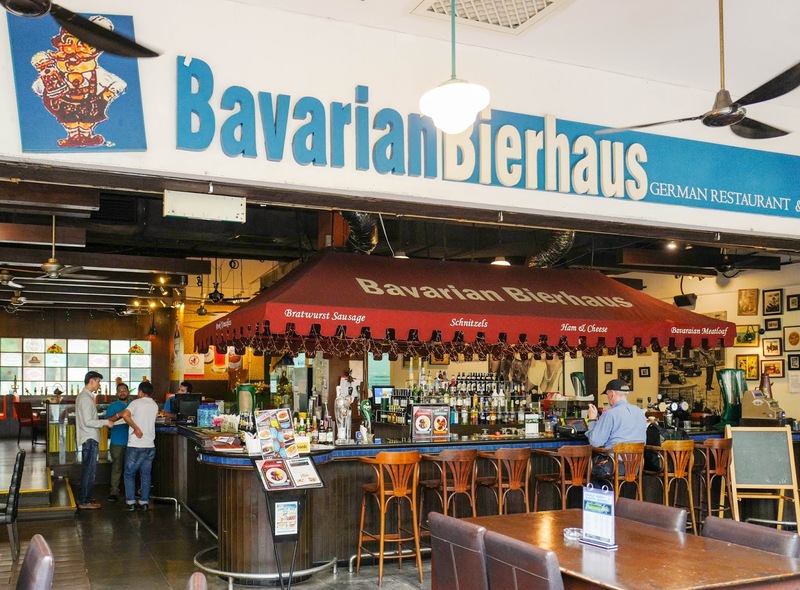 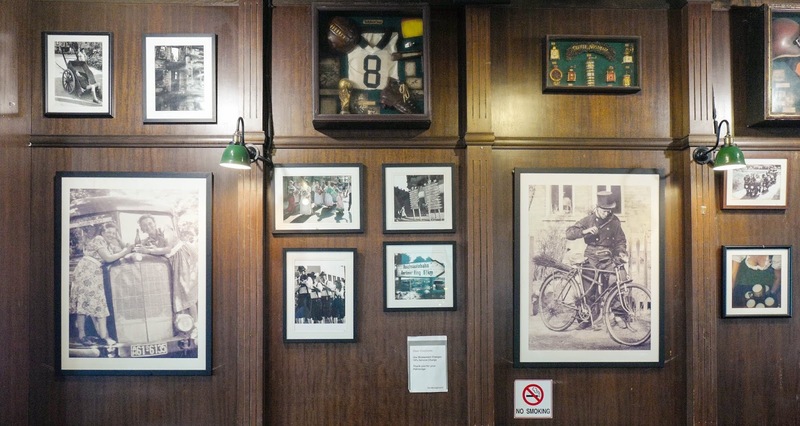 While we focused primarily on Bavarian Bierhaus' more unfamiliar recipes for this visit, the restaurant is also well-respected for the favourites that most Malaysians associate with German gastronomy, such as pork knuckles and pork ribs, each served in various preparations with different glazes and sauces. 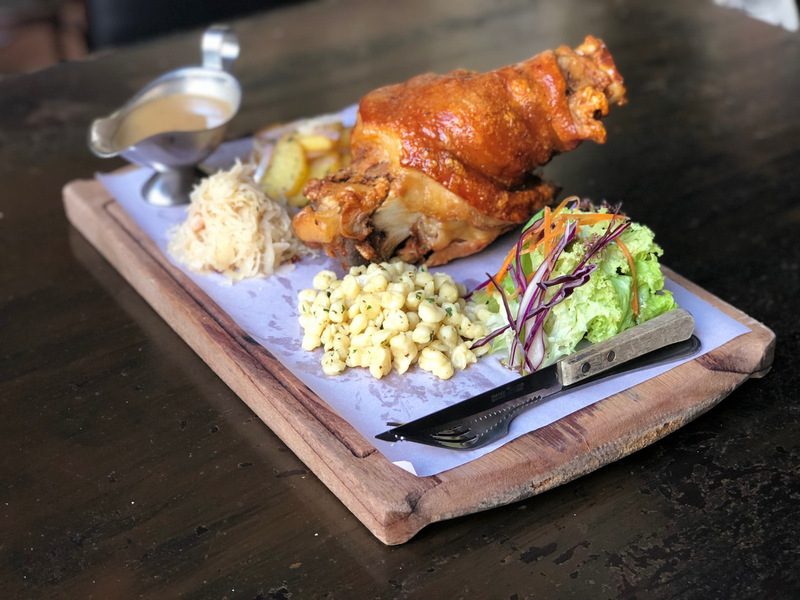 We'd also return for platters of sauerbraten, the German beef pot roast, and roast chicken (additional photos here courtesy of Bavarian Bierhaus). 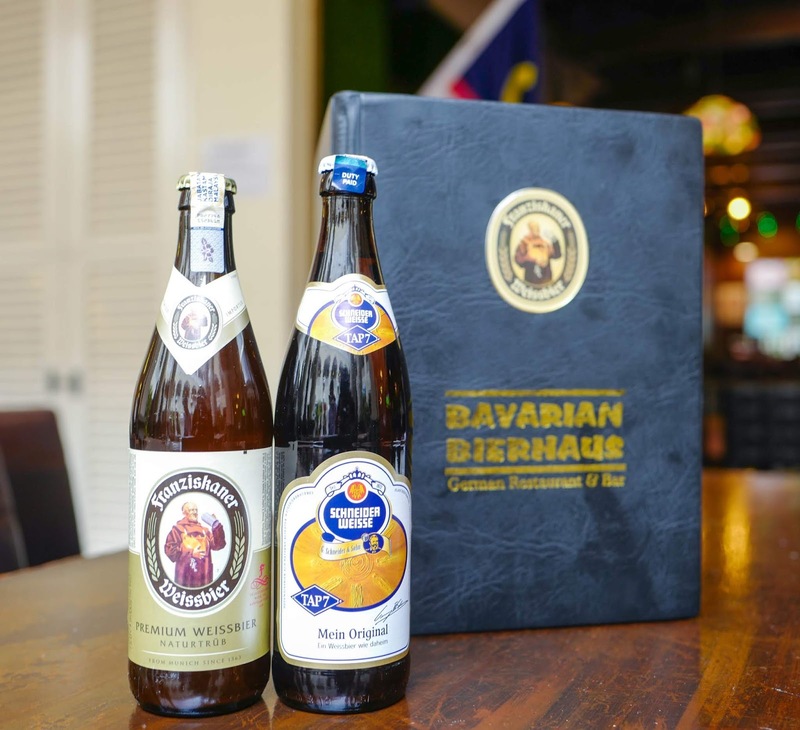 Many thanks to the Bavarian Bierhaus team for having us. 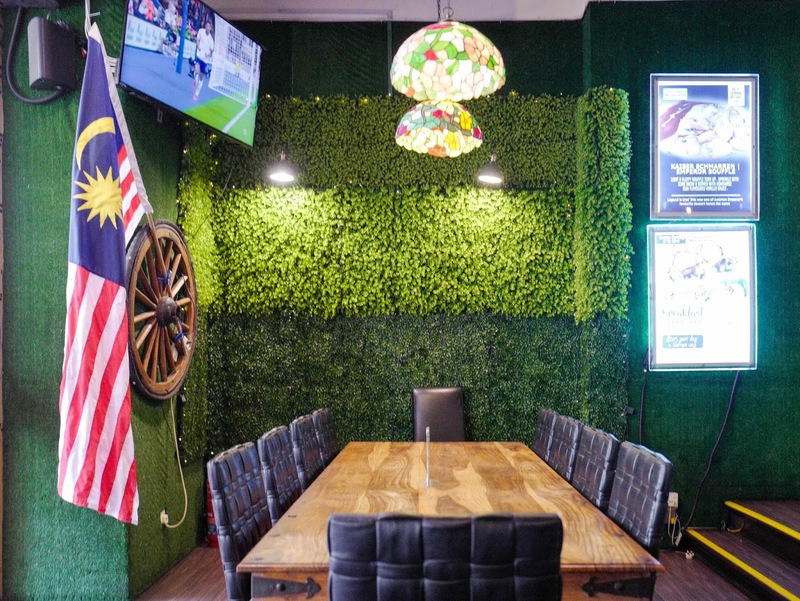 G.66, Ground Floor, The Curve, Jalan PJU 7/3, Mutiara Damansara, 47800 Petaling Jaya, Selangor.